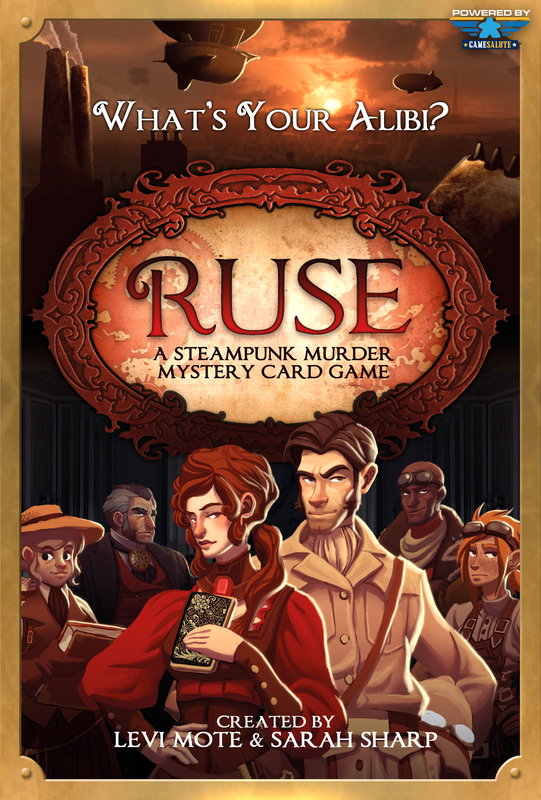 If you read our interview with Ruse’s designer’s yesterday, you know they had a desire “to design a murder mystery game that went beyond deducing what was in an envelope.” Ruse is that game. It plays from 3 to 5 players—ages 12 and up—in 30 to 45 minutes. 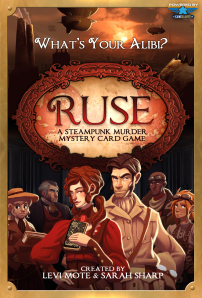 They designed it using a standard 54-card deck (but with cool steampunky pictures), so they’re seeing it as a gateway game, too. Many people don’t have a desire or the patience to learn a whole new batch of cards, but since this game uses a “standard” deck, they might be more willing to jump in and try it. In fact, they’re even including the rules for the Victorian-era card game Whist. The Kickstarter page says: Players take turns making Accusations of Method, Motive, or Opportunity against each other or providing Alibis to counter those Accusations. You must remember what has been played and craft your Accusations well to pin the murder on another player. Sounds like it’ll be a fun storytelling, whodunit game. Jeremiah and I should be getting our pre-production, review copies any day now. We’re going to give this a whirl once we do, and we’ll have our reviews up ASAP. In the meantime, you can go check out the Kickstarter campaign—they’re already close to being funded!